Who will help the enforcers? Who will help the enforcers? It’s not all about offshore accounts. Payment by cash for scrap metal and ignoring the spirit and the letter of waste licensing law. How local authority, police, HMRC and the Environment Agency are trapped in budget cutting inaction. 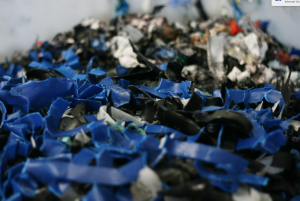 Recycling scrap metal and regulation of the waste industry are linked in many different ways. The question of who forces the enforcers apply to both. Take the issue of a hazardous contaminated scrap steel drum. Stage 1 : the producer does not declare the hazard contained in the drum either at all, or incorrectly. Stage 2 : the recycling facility is not licensed for hazardous waste in the first place, or for processing any hazardous waste. The site therefore carries out no pre-acceptance checks. The site does no sampling or inspection. Wastes produced from such sites can only therefore be describing their wastes for onward disposal inadequately. Stage 3 : the undeclared hazard, not inspected and unprocessed is delivered to a scrap metal recycling facility. Stage 4 : the scrap recycling facility ignores the NO payment in cash provision in the Scrap Metal Dealers Act, giving an incentive and therefore encouraging customers to generate material without correctly declared paperwork. You can see in this mythical scenario the local authority, relying on the police to enforce the Scrap Metal Dealers Act, is at best in a weak position. (https://www.letsrecycle.com/news/latest-news/bmra-fears-scrap-metal-dealers-act-is-weakening/) The licensing regime has no paperwork trail to inspect. HMRC miss on VAT and possibly income tax also. What is on the face of it some cash generation to avoid tax, can easily lead to significant environmental legislation violation. We are all responsible to help the enforcers by preparing correct paperwork, identifying companies and individuals who are operating outside regulation, be it Environmental or tax. Take a look around over the next couple of weeks and see if you can help the enforcers force greater compliance. The Environment and the country need all responsible businesses to stand up for plain common sense. Posted in Uncategorized and tagged hazardous waste fires, insurance, recycling, waste disposal, waste hierarchy.